1st November 2013, Lilongwe, Malawi. UbuntuNet Alliance, the Regional Research and Education Network for Eastern and Southern Africa, today announces the appointment of Professor John Ssebuwufu as the new Chairperson of the Alliance with effect from 1st November 2013. Professor Ssebuwufu succeeds Professor Zimani Kadzamira who stepped down on 12th February 2013 after his second three year term ended as required by the Articles of Association of the Alliance. Professor John Ssebuwufu was until the end of October 2013 Director of Research Programmes at the Association of African Universities (AAU) in Ghana. He also recently worked as Acting Secretary General of the organisation. He is a member of several international Committees and Boards, including the World Bank Millennium Science Initiative where he acts as one of the Technical Experts for Uganda. He is also the Non-Executive Director and Chairman of the Board of Directors at CITIBANK (Uganda) Ltd; a subsidiary of Citigroup New York. 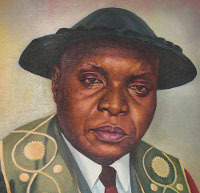 Prior to his appointment at AAU, Professor Ssebuwufu served in various positions, the most noteworthy being that of Vice Chancellor of Uganda’s premiere university, Makerere University, from 1993 to 2004. His tenure saw the total transformation of the university to a dynamic computerized institution responding to national and regional research and education needs with a multiplicity of global research and funding linkages. “I regard it as a special honour and privilege bestowed on me to have been nominated and appointed as the next Chairperson of this very important network – the UbuntuNet Alliance. I thank the Board and the appointing authority for giving me the opportunity to once again serve Africa in this capacity. Given the enormous success of my predecessor, Professor Zamini Kadzamira, I can only hope that mine will equal his achievements as first chairperson of the Alliance. I thank him for his exemplary leadership and selfless service to this young network. I wish him more success in his future endeavors, said Professor Ssebuwufu. “It reflects the good standing of UbuntuNet Alliance that, following the exemplary service of Prof Kadzamira as Founding Chairperson, we have now another eminent person with a similar global outlook and experience to steer the Alliance through our next phase of development. I personally know him as a principled action oriented person, an elder who took to ICT like a six year old,” said Tusu, CEO of the Alliance. Professor Ssebuwufu’s term of office will run for three years with the possibility of one renewal. During this period, the Alliance is confident of following a steady course towards the transformation of the African academic and research family and integrating it fully within the global REN community. UbuntuNet Alliance is the regional Research and Education Network for Eastern and Southern Africa. It was established in 2005 as a not-for-profit regional association of National Research and Education Networking (NRENs) in Eastern and Southern Africa. Its current membership consists of 14 NRENs. The Alliance works towards enabling collaboration in research and education over world class networks, and has the primary responsibility for the regional research and education data network, UbuntuNet.